WIEGO celebrates their 20th Anniversary this year. 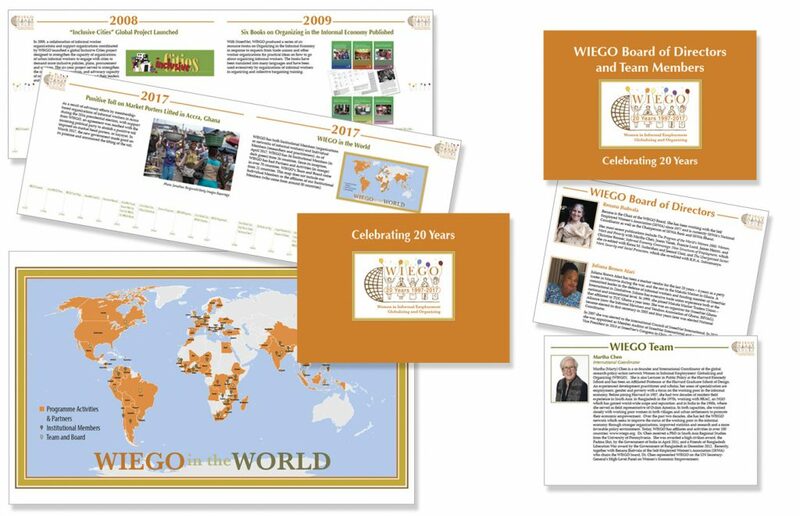 These are a few of the items Luckham Creative designed to mark the anniversary, a timeline booklet showing highlights of the past 20 years, a Bio booklet of the Board of Directors and the WIEGO team all over the world, and a map showing WIEGO’s activities, partners, Institutional members, Board members and Team. Luckham Creative has been proudly providing design and photography services for WIEGO (Women in Informal Employment: Globalizing and Organizing) since 2008.